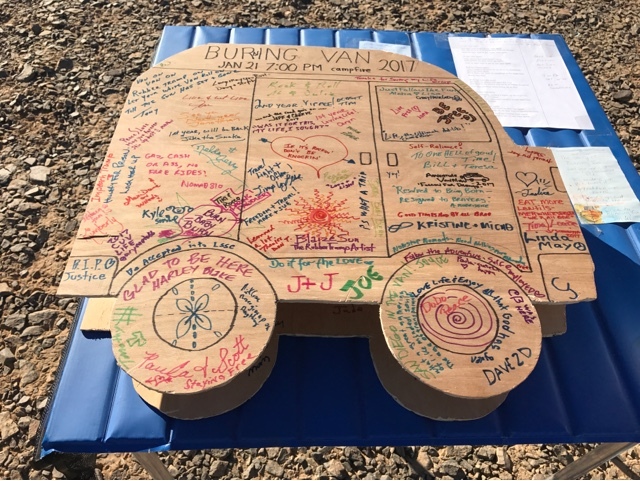 As described in my last post, Burning Van became a closing symbol for the RTR. 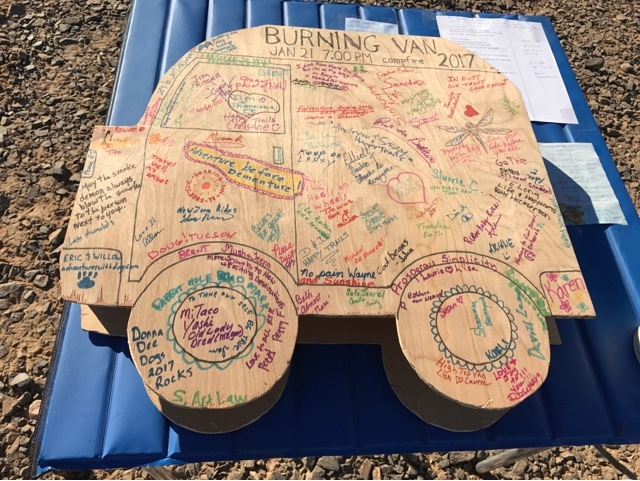 For the last week the 3 dimensional plywood van was available to sign in preparation for it ceremonial burning the last night of this event. If you care to look close enough to this side you will see where I signed along with oh so many other attendees. Side 2 has just as much signatures as a testimony to the number of people that attended the RTR. I would guess that many others never signed. 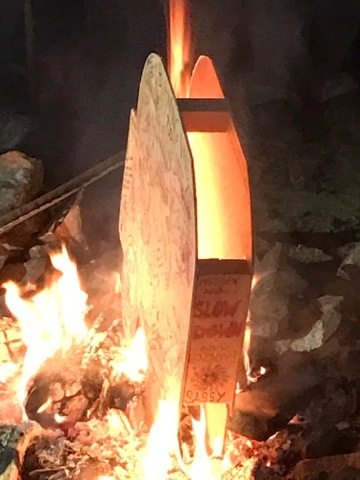 Thanks to Tony and Karen for the new and improved plywood version this year as the cardboard box last year burned way to fast. 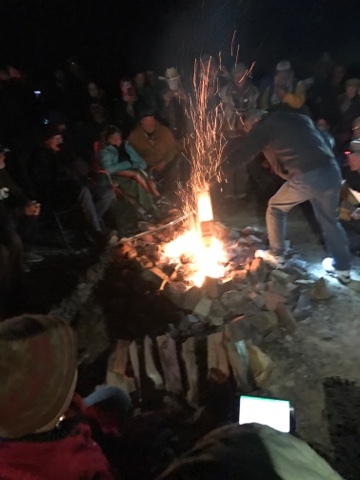 Above preparations are made for the signing of the Burning Van song as the van will be placed on the fire. It didn't look as dangerous to put on the fire watching but the center hole in the van makes a good chimney. 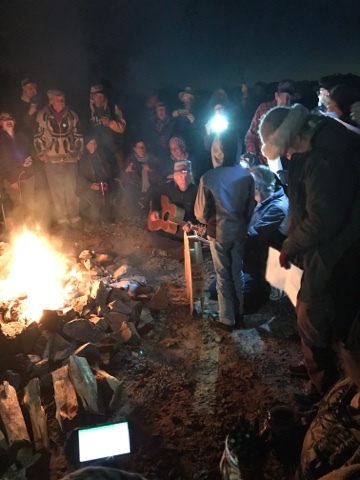 At this point those with better singing voices than me were singing the Burning Van song. 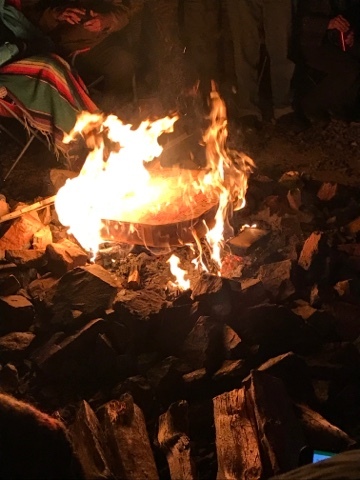 Folks hung around for the final collapse of the van into ashes, and it off to our respective dwellings with some taking an invitation to music and pizza off in the distance. The location is off in the distance as the music people moved there after the concern that was expressed about noise.